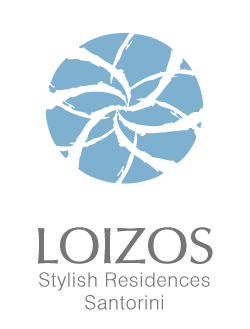 Loizos Apartments is a traditionally Cycladic establishment on the idyllic island of Santorini. Although it is located in Fira city center, the actual position of the hotel is surprisingly quiet and almost residential. If you walk out the front door, you will find yourself at the beginning of the quaint pathway that winds along the Caldera cliffs towards the shopping center, nightlife, restaurants, cafes and museums.